The months from October to April are often referred to in the trade as 'condensation season', due to the fact that the problem is at its worst during these months. 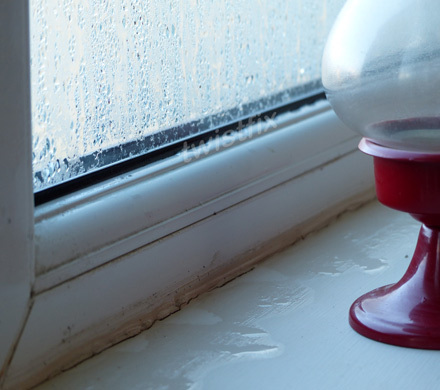 December to January, the months of winter, always see a peak in the number of reported cases of condensation-related damage to property, possessions and even health. To help your property to survive condensation season, Twistfix present our two-part guide to combatting the damaging problem. The process of condensation is simple to understand. The air around us is naturally full of water vapour, which is added to by human activities such as bathing, cooking, washing clothes and even breathing. The warmer the air is in a given space the more water vapour it can hold; this airborne vapour turns back to liquid when it meets with a cold surface such as a wall or window. During winter, inside temperatures are higher and outside temperatures lower which exacerbates ordinary condensation levels. 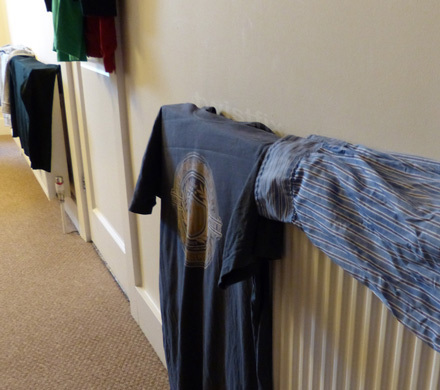 Condensation dampness can cause a multitude of unpleasant problems. Perhaps the most important is the risk posed to human health: black mould and other moulds, which readily form colonies in damp areas, can cause or worsen respiratory conditions such as bronchitis and asthma. Cases of eczema are frequently reported by people who live in damp conditions and it is children and the elderly who are the most vulnerable. Structural damage is common in damp properties as water that seeps into wood and brickwork compromises the integrity of the building, causing weakness and decay. Clothes, furniture and other fabrics are also damaged by mildew encouraged by a damp atmosphere, becoming smelly, unpleasant and unwearable. If condensation dampness is suspected, it is important to diagnose it correctly. It should not be confused with rising damp, which can be identified by a damp tidemark low down on an internal wall, or a leaking pipe or roof which will cause damp patches local to the leak. Classic condensation dampness symptoms include water streaming down windows, pools of water on windowsills, tidemark-free damp walls and mould patches, particularly in corners. Walls, tiles, windows and cold-water pipes are all vulnerable to condensation and surface wetness on any of these probably indicates a condensation problem. Twistfix have a range of anti-condensation products available including positive input ventilators, heat recovery units, anti-condensation paints and fungicidal additives. 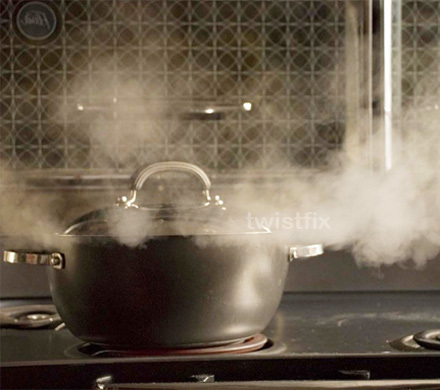 Our next article will focus on the ways you can help to reduce condensation in the home. For more information on any of our range of damp proofing products, please contact a member of our experienced and professional team.